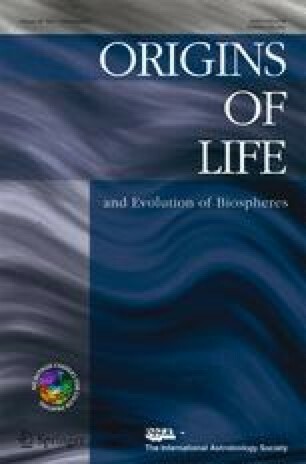 The worldwide discussion on the origin of life encounters difficulties when it comes to estimate the conditions of the early earth and to define plausible environments for the development of the first complex organic molecules. Until now, the role of the earth’s crust has been more or less ignored. In our opinion, deep-reaching open, interconnected tectonic fault systems may provide possible reaction habitats ranging from nano- to centimetre and even larger dimensions for the formation of prebiotic molecules. In addition to the presence of all necessary raw materials including phosphate, as well as variable pressure and temperature conditions, we suggest that supercritical CO2 as a nonpolar solvent could have played an important role. A hypothetical model for the origin of life is proposed which will be used to design crucial experiments for the model’s verification. Because all proposed processes could still occur in tectonic faults at the present time, it may be possible to detect and analyse the formation of prebiotic molecules in order to assess the validity of the proposed hypothesis. We would like to thank Gabriele Berberich from the University of Duisburg-Essen for her helpful comments in improving the manuscript, translating and refining the English and for producing the illustrations. We also owe special thanks to the editor and the two reviewers of the article for helpful comments.